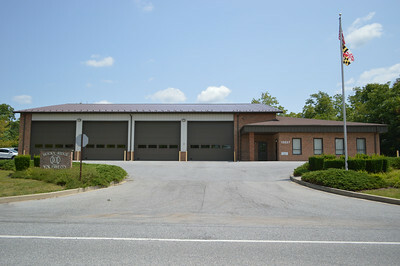 Rocky Ridge Fire Company - Frederick County Station 13. 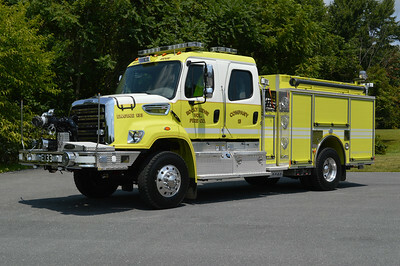 Engine 133 is this unique 2013 Freightliner 108SD/2014 Pierce, 1250/500, sn- 27196. 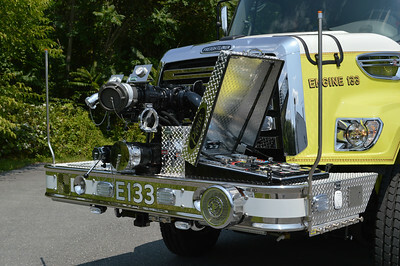 Interesting location of the pump panel on the Freightliner. 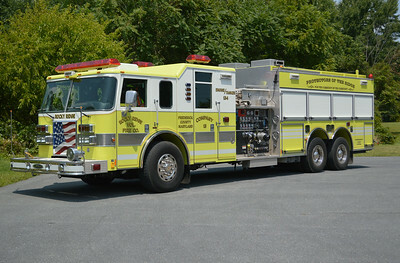 Engine Tanker 134 is a very large 2004 Pierce Lance, 1500/2000/50B, sn- 15096. 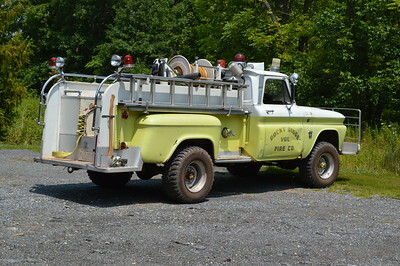 Beaten but not broken, Brush 13 is a 1964 Chevy 20 4x4/Howe, 300/300. 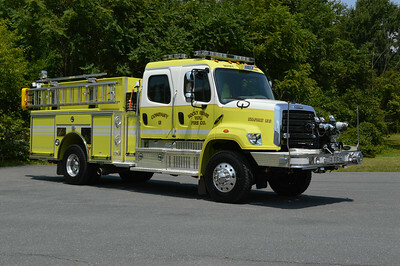 ex - Clarksville, Maryland (Howard County). 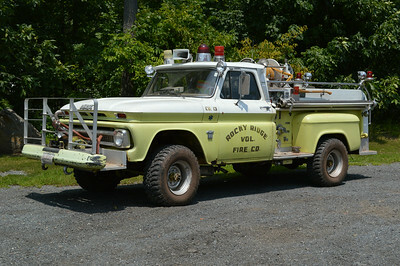 A rear view of Rocky Ridge, Maryland's brush truck. 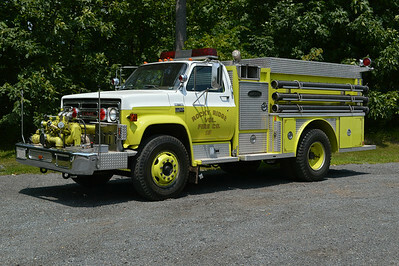 Former Engine 133, a much smaller 1978 GMC Sierra 6500/Emergency One, 750/500, sn- 40506.